Anime is nothing more than a style of animation, specific to Japan and featuring certain elements that make it unmistakable. 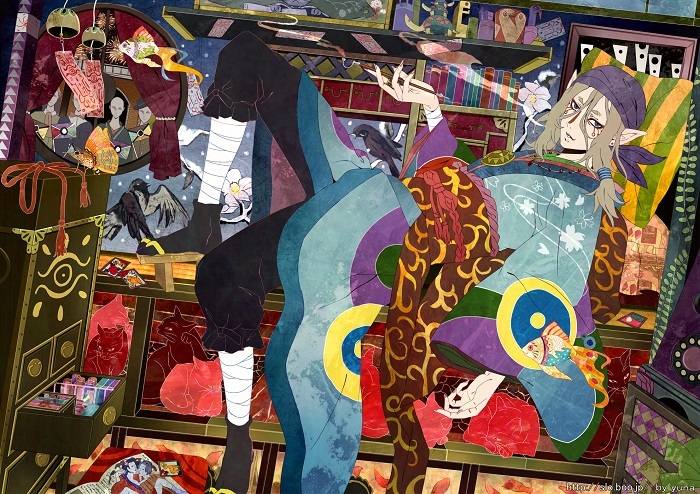 The style has captured the imaginations of many artists, who then go on to create amazing anime artworks, often featuring large eyes and vivid colors. But as the images flash before us it can be easy to forget that the best anime drawings are often found within the anime themselves. Some anime has amazingly beautiful art, whether it's in the details or the scenery, the character expressions or their features. 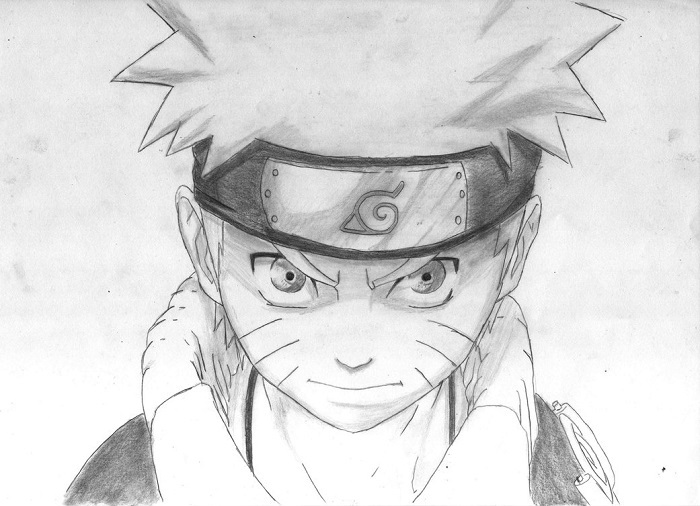 Other anime is striking for its style, its ability to elicit powerful emotions, or even simply its technical skill. 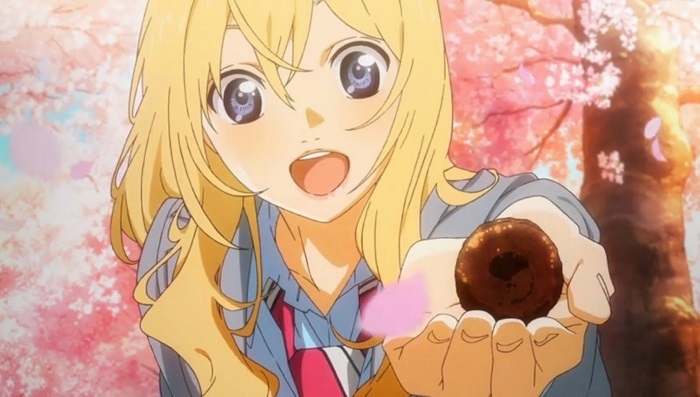 The images below are the best we could find from among the many beautiful anime out there. 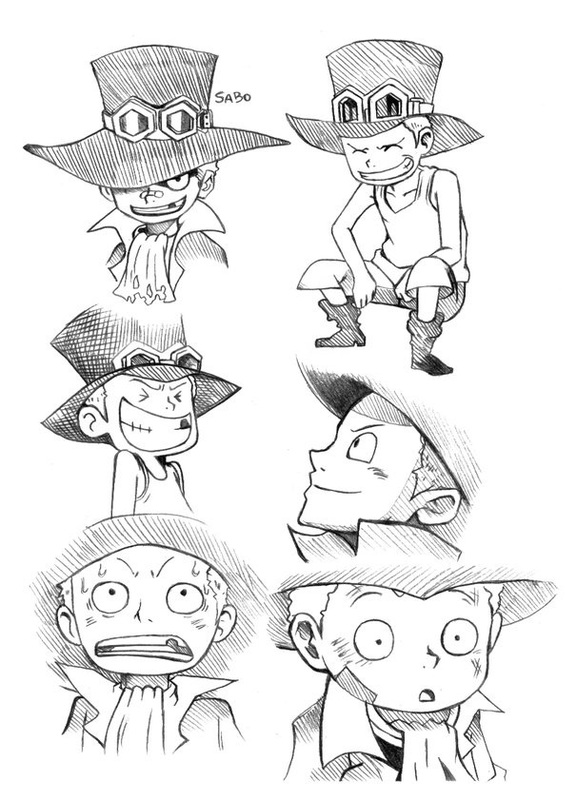 All, save for a couple of pencil sketches, come directly from the anime itself. 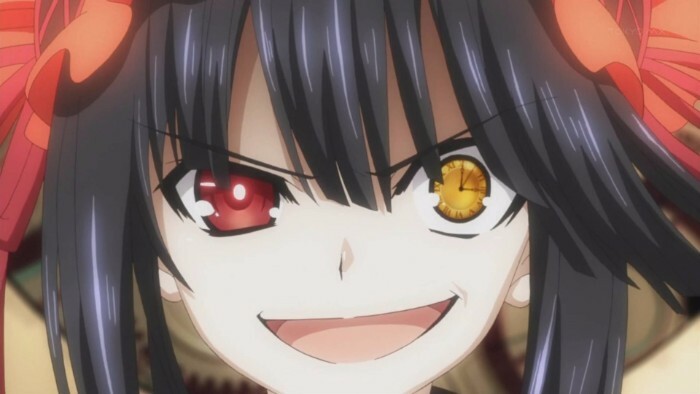 How often do you pause an anime and take in the artwork? 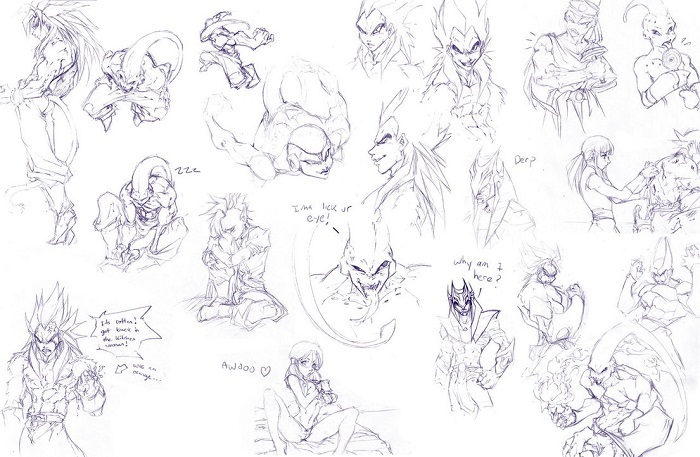 Let's take a moment to appreciate the anime drawings found within the amazing medium that is anime. 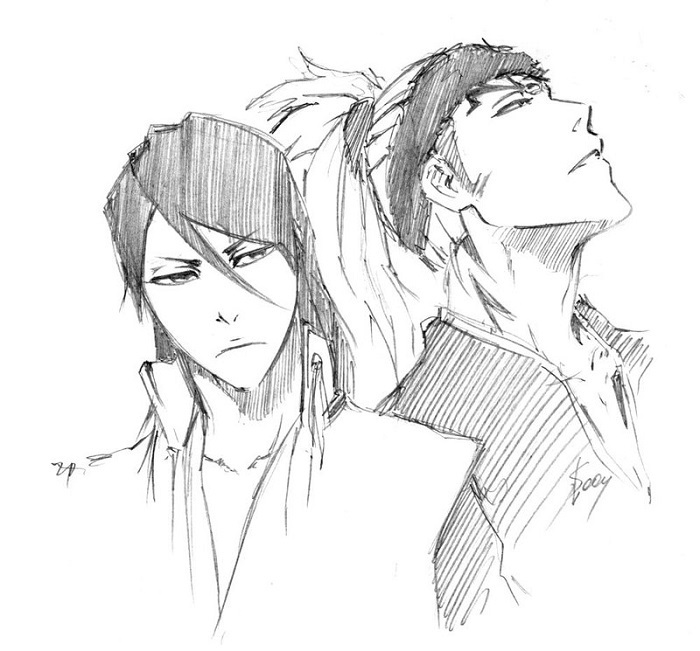 Super clean sketches of Byakuya and Renji from Bleach. If the anime was re-imagined as a one season, 12 episode type deal, this would be the kind of detail we'd love to see. This gritty collage lies closer to the original style that mangaka ONE uses, but it's got a very expressive, epic feel to it. Deep Sea King looks amazing here. 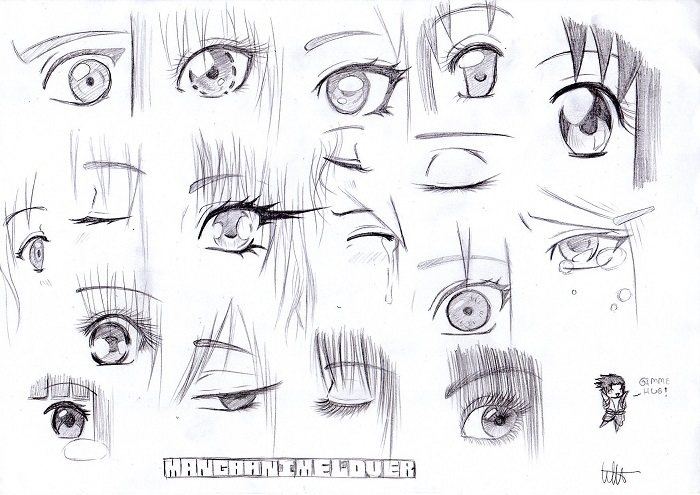 A couple of different styles of anime eyes, some of which we see regularly in anime today. Is it just us or do Sakura and Madoka's eyes feature in there a couple of times? Let's get meta as the beautiful Garden of Words shows up again. This image does an incredible job of showing a sketch within a drawing. 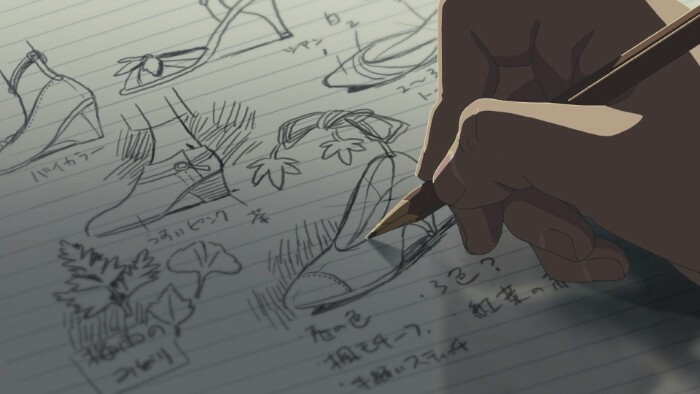 The sketch is just a bunch of shoes, but they're so realistically sketchy that it's easy to forget you're watching an anime and not a movie. 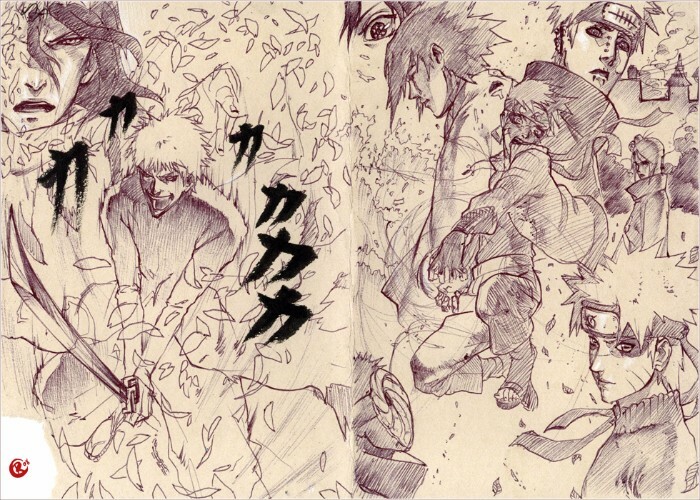 Bleach on one side, Naruto on the other, artist Roggles fills his pages with a collection of awesome pencil sketches. Roggles' skillful use of lines casts shadows and creates movement, and overlays the sketches in such a way that they feel like one coherent work. We cheated a bit for this one, as it's not purely a pencil drawing, but rather a watercolor one. 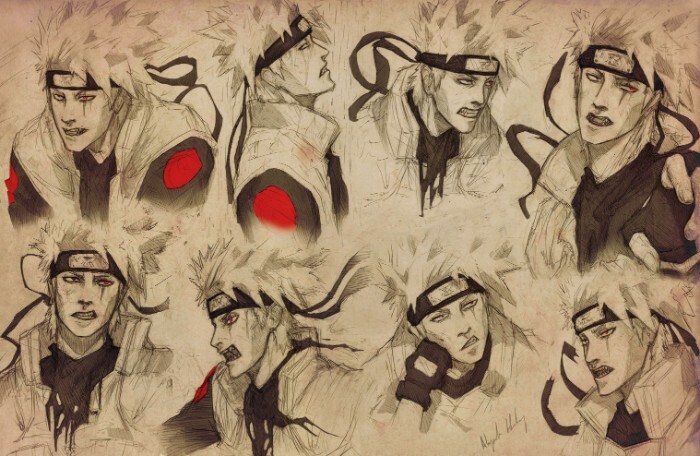 But this amazing fanart drawing is too bright and wonderful to pass up. 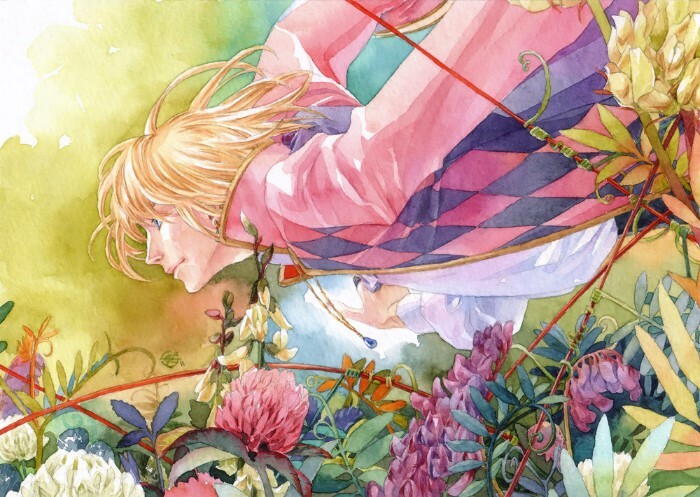 The artist captures the feel and style of the Studio Ghibli movie, and adds their own flair, to create one beautiful artwork. 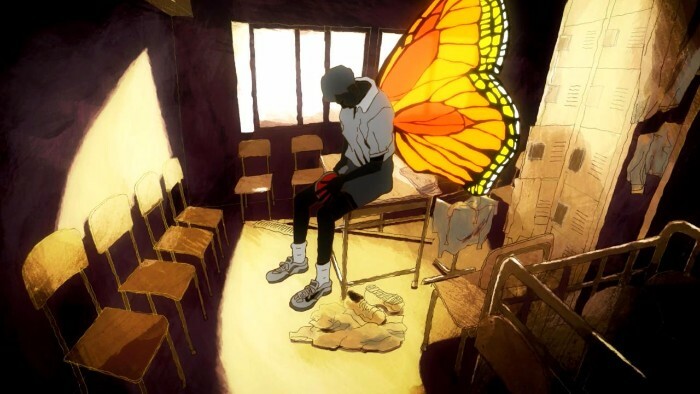 The Garden of Words is a beautiful anime through and through. This simple image of a boy's back shouldn't be remarkable, but this anime makes it amazing. 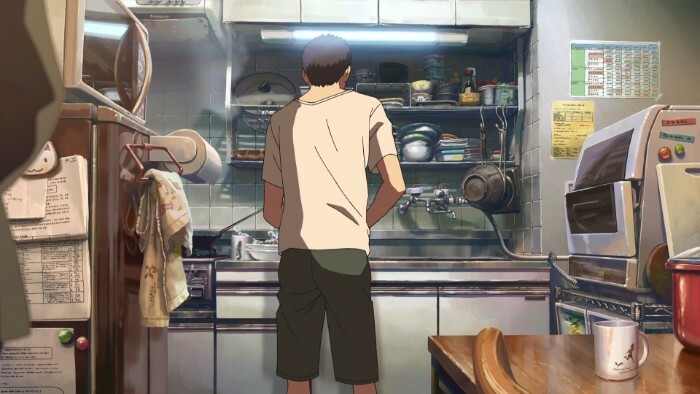 The boy is surrounded by so many details and stunning art: the calendar and notes pinned up, the mess of dishes before the boy, and even the crumpled kitchen towel make this single shot a moment frozen in time. It's not always the detail that makes an impact on us, but rather the style. This image from Ping Pong the Animation is an unexpected style, with shaky lines and a distinct lack of facial features. But you can tell that each brush stroke and line are deliberate, created with the goal of emphasizing the only bright and colorful part of the drawing: the butterfly wings. There is beauty in this mess. 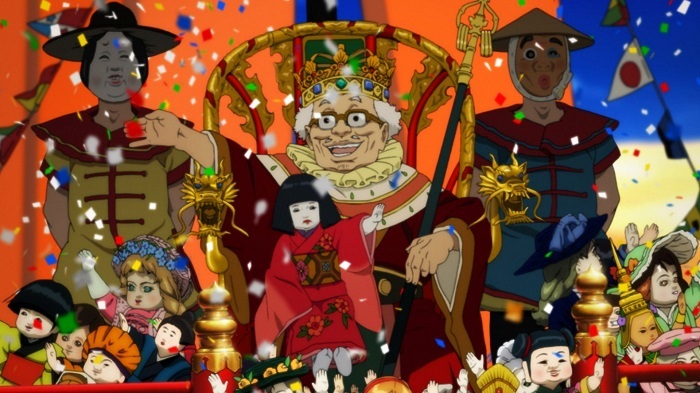 Tekkon Kinkreet is another anime that has a very distinct and unique style. The boys in the foreground are drawn with choppy lineart that works perfectly with the painterly backdrop. And just look at the amount of detail found there: no matter where you look, you'll discover something new. 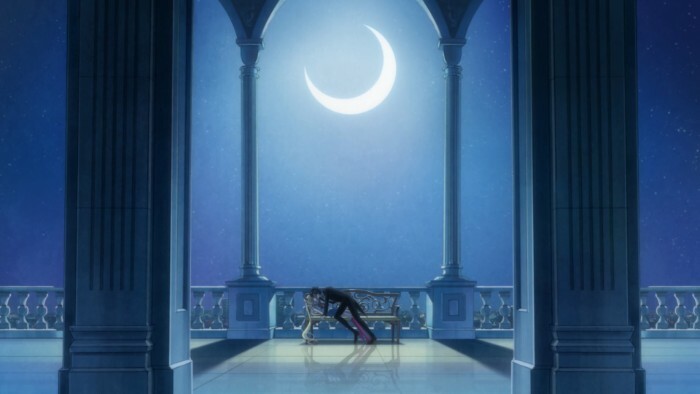 This anime is fantastic at creating a certain atmosphere, and this drawing is a perfect example of this. 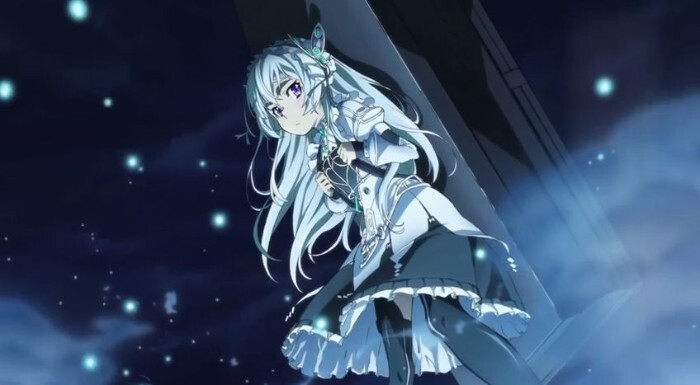 Out of all the other anime in this list, Hibike! 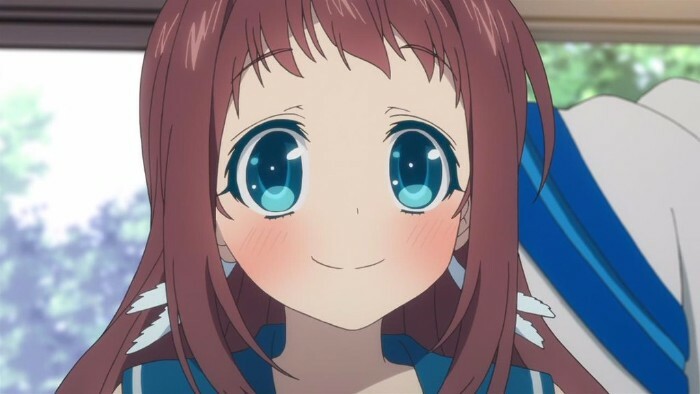 Euphonium is the one that looks most like it was drawn by an artist as a still. 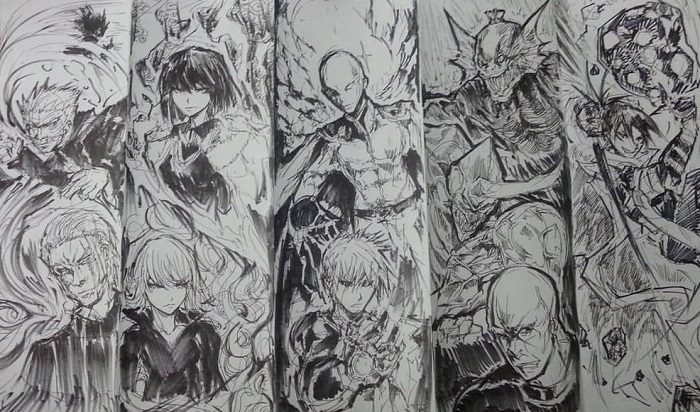 You can see the amount of skill that went into drawing every frame of the anime. 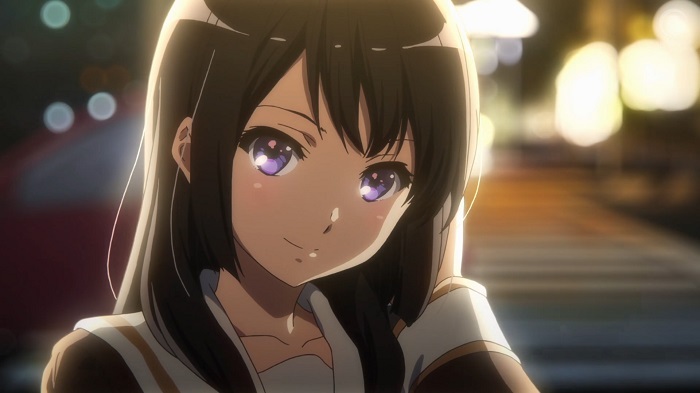 This picture is a great example of this, where the light gleaming against the back of Reina's hair gives her an ethereal glow and turns the screenshot into more like a soft painted piece. This art goes to show you that you don't need something complex to create something beautiful. Despite being a fairly simple anime drawing, Eru Chitanda is breathtaking in this screenshot. 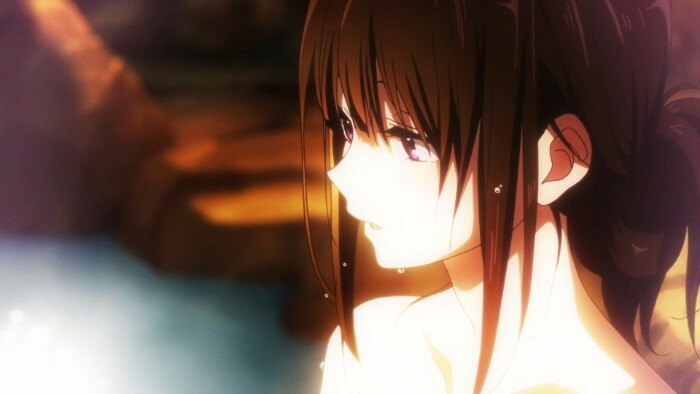 The droplets in her hair and on her face, the rest of the hot springs shrouded in a soft steam, and her beautiful long eyelashes are all amazing together. Hot springs are often used for comic relief, usually of a sexual nature; instead, this series opts to create a sensual moment. 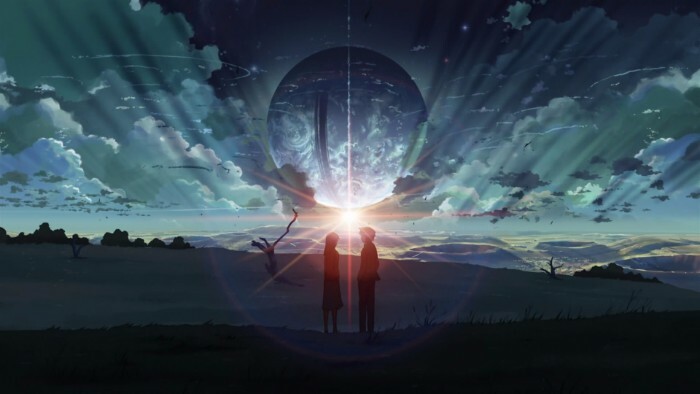 It's hard to pick just one image from 5 Centimeters per Second when talking about gorgeous anime. The entire movie is a work of art, every shot a beautiful drawing that would make an amazing print or wallpaper. For this shot, we see the entire world bend around this one couple - and believe it or not, every shot before and after are equally stunning. 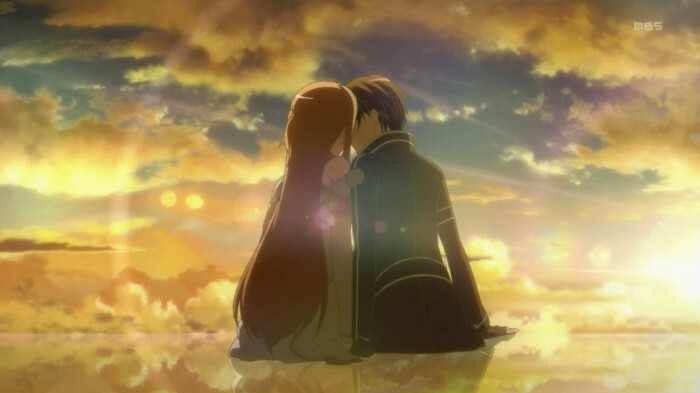 Whether you loved or hated SAO, you were no doubt impressed by the environment art, which stood out as a beautiful backdrop to the story. Here we see one example of how the background makes the moment as a tender kiss seems to stretch into eternity. The couple seem to be sitting on the edge of the sky. It's definitely a perfect place for a kiss, and a beautiful work of art. 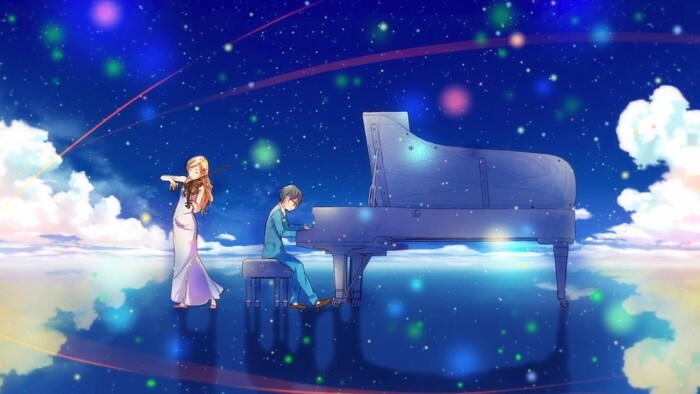 Showing up a second time on our list is Your Lie in April, for this unforgettable scene. The beauty and colors of the moment are captured perfectly in this drawing, which makes you think of swirling notes and harmonious sounds. Can't you just hear the music? Bakemonogatari (and the other anime in the series) employs a very unique style that draws largely on lines, repetition, and color. This image of the lead couple in the series is a fantastic anime drawing that shows exactly how unique the style is. The yellow and black lines follow the rule of thirds, while the background shows nothing but repeating windows, until we get to the bodies of the two characters, which break the lines by curving into each other. Every line in Bakemonogatari feels deliberate; content notwithstanding, it's like watching a work of art in motion. 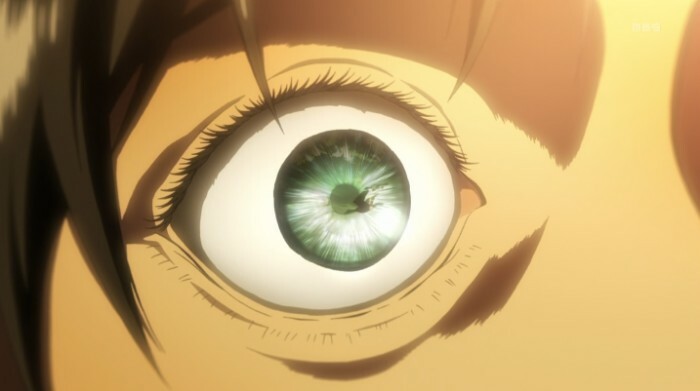 Attack on Titan's attention to realism and anatomy shows in this anime eye drawing. The eye is more realistic than most anime eyes, and reflects an entire world within its many colors. It's a captivating shot, set against the backdrop of a softly faded face, almost like a macro photograph. Nai's color scheme and even his name mean he barely exists, nearly faded out. That is, until you see his eyes. 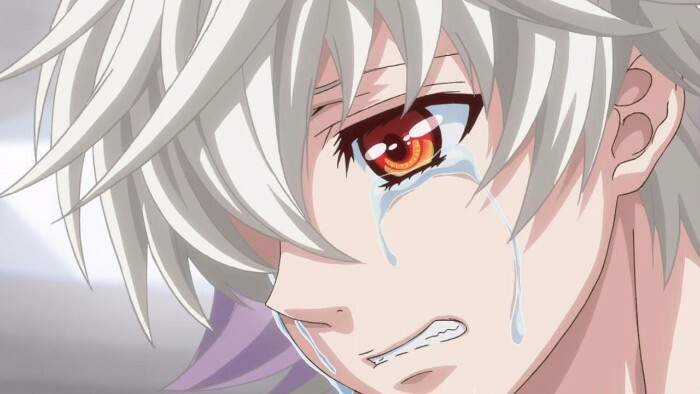 Every moment featuring Nai is overwhelmed by his expressive orange-red eyes, which include more detail than the rest of his face. This shot shows the beauty of a well-crafted color scheme. 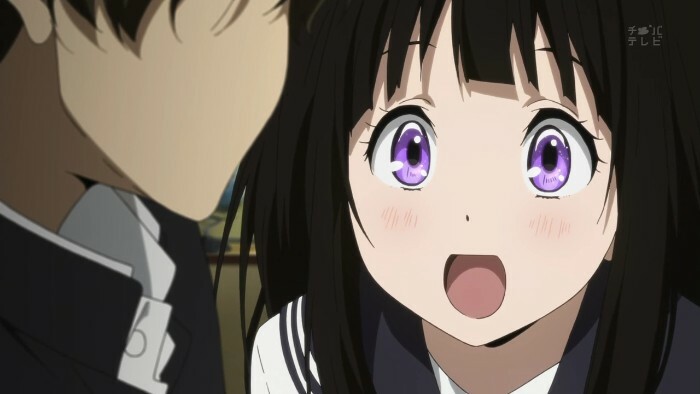 Eru Chitanda makes another appearance on our list due to her unforgettable eyes. Wide-eyed, sparkling, and full of wonder, Eru's eyes truly are windows to her soul. You won't forget her -- or those eyes -- in a hurry. 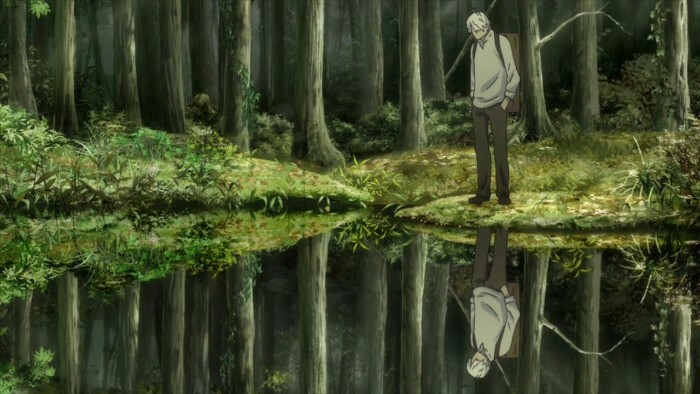 You simply can't have a list of beautiful anime drawings without mentioning Mushishi. The anime is a rare gem among anime: slow-paced and pensive, it focuses on environment and feelings over action or movement. This screenshot is just one example of the many beautiful environments found in this wonderful anime. 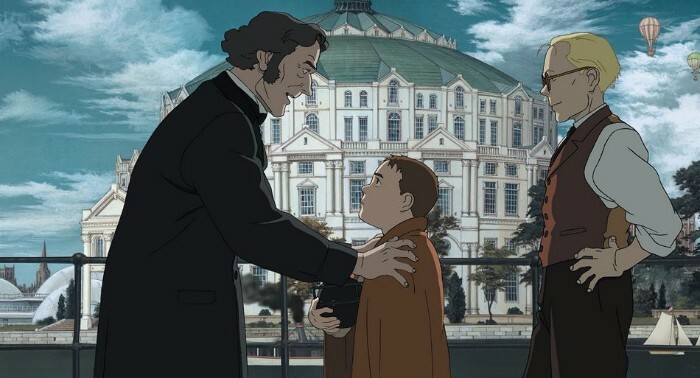 Sunday Without God is an underappreciated work of art with crisp character designs and artwork, and a sunny golden color scheme. The entire world looks like it's stuck in a permanent sunset, and this image is no exception. 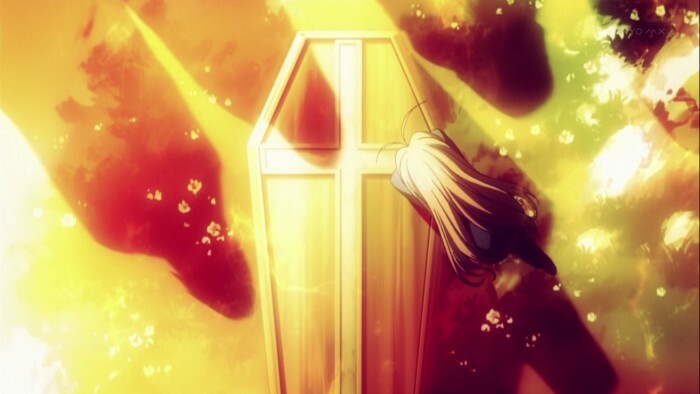 All we see is a girl draped over a coffin, with the shadows of other people surrounding her. The image is so simple yet so poignant that it evokes some strong feelings in us without even needing to know the context. 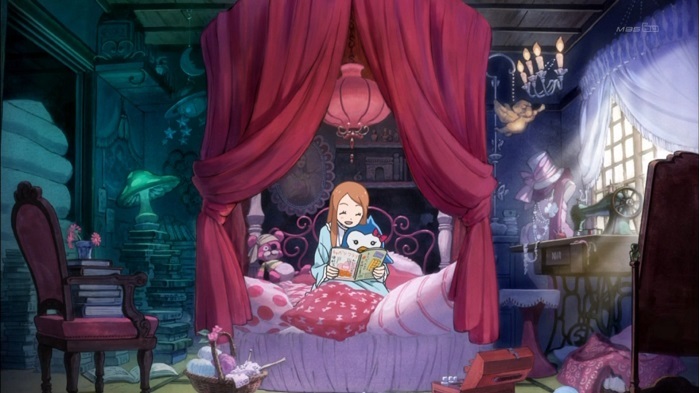 The character art for Madoka is at striking odds with the anime's backgrounds -- most notably, the nightmare environments. 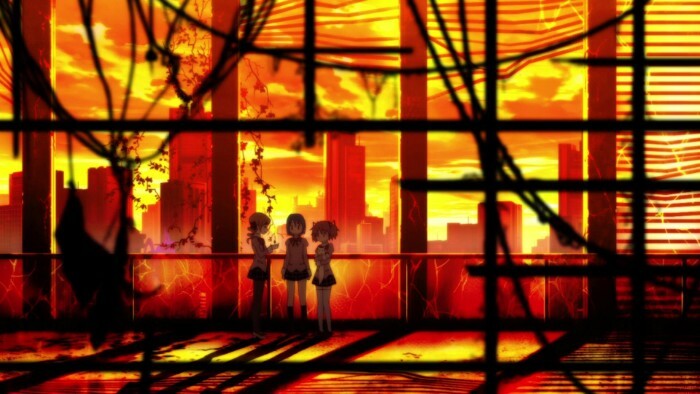 The cute and simplistic girls are constantly placed against a complex (and often multimedia) backdrop like in this image. The colors and shapes in this anime drawing create an vivid frame that drives the eye to the girls, depicted as so small in this world. This, and any image from a nightmare world, make Madoka a visual masterpiece.